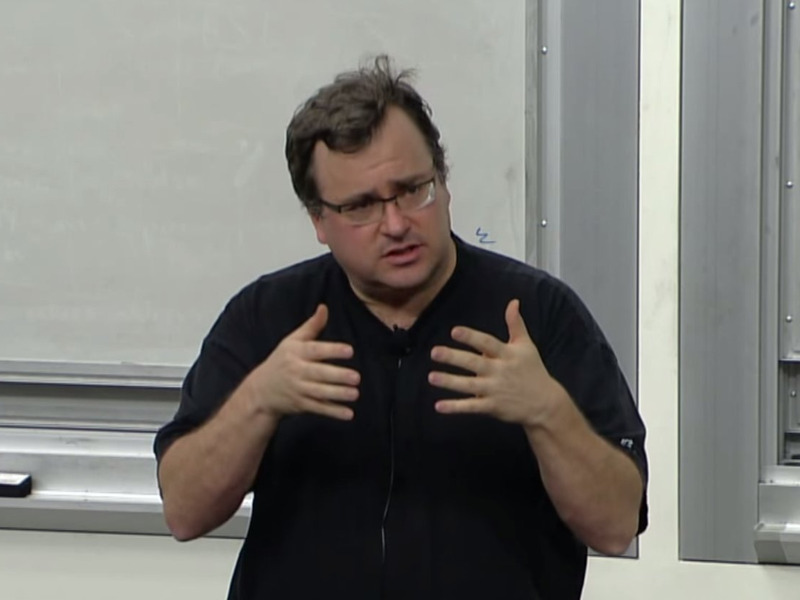 Reid Hoffman is one of the most successful entrepreneurs in Silicon Valley. 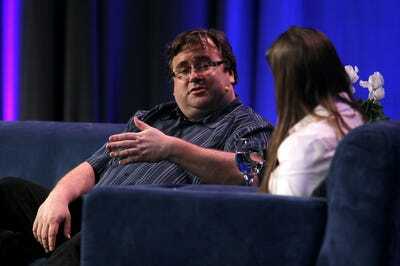 He’s the founder of Linkedin, the largest professional social network worth around $US28 billion, and a partner at the VC firm Greylock Partners. He was also one of the early employees of PayPal, where he served as executive VP, and the co-founder of Socialnet.com, one of the first social network startups. 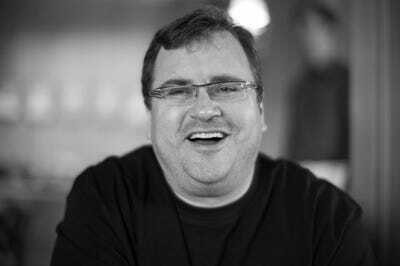 He’s also a remarkable angel investor, with early investments in Facebook, Flickr, Digg, and Zynga, and other companies. Last week, Hoffman gave a 45-minute presentation titled “How To Be A Great Founder” at Stanford, as part of the “How to Start a Startup” series by Y Combinator’s Sam Altman. We pulled together some of the slides and Hoffman’s words explaining his wisdom. 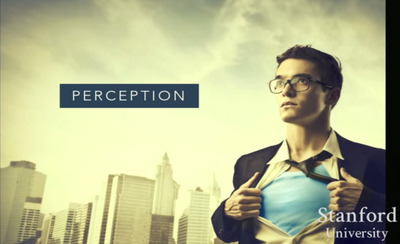 The perception of a great founder is often this 'super-person' who's awesome at everything. Classic examples are Steve Jobs, Bill Gates, Elon Musk, Mark Zuckerberg, and Jeff Bezos. But in reality, a founder is someone who deals with all kinds of headaches. And no one is 'universally super powered.' 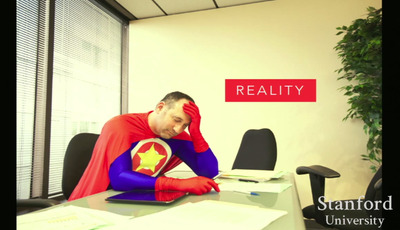 Instead, you hope to have just a few super powers that give you a competitive edge. Because all of these skill sets are important to run a successful business. And in most cases, you're not good at all these things. You can't do it alone. 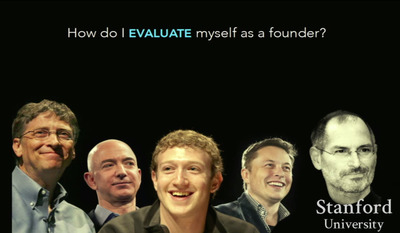 So generally, it's much better to have 2 or 3 cofounders rather than a solo founder. As a group, you can compensate for each other's weaknesses. It's also very important to have a high degree of trust in each other. 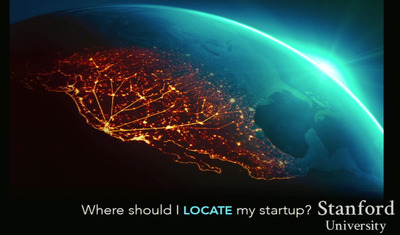 Location matters, too - and it doesn't always have to be Silicon Valley. You have to go to where the strongest networks are for the particular thing you're doing. For tech startups, Silicon Valley is good. But for a a lot of other things, like fashion, it's not. 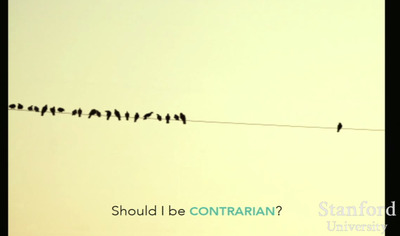 It's really hard to be both contrarian AND right. He says you have to ask, 'How does a smart person actually disagree with me? What do I know that they don't know?' If there's something that you know that they don't know, and that's something that will actually play out to be true, only then is it good to be contrarian. 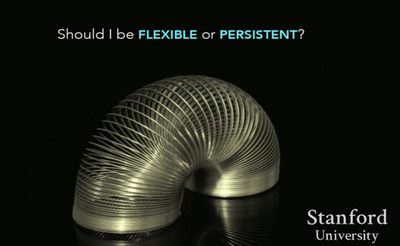 You must be both flexible and persistent. 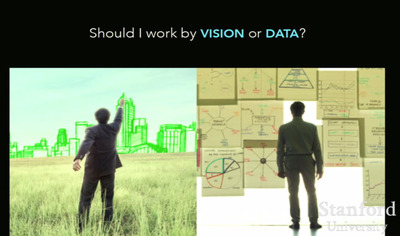 You need strong vision (persistent), but must also listen to data and pivot when needed (flexible). Ask yourself: Why do you think it is potentially a good idea? Is your confidence in your investment thesis increasing or decreasing? But even if your confidence is decreasing, it doesn't mean you have to quit. Paypal, Linkedin, and Airbnb all had those dark moments. You have to think what needs to be done to fix the problem and that should give you your immediate action plan. The best entrepreneurs are considered risk-takers. It's true that you have to be a risk-taker, but you have to take intelligent risks. 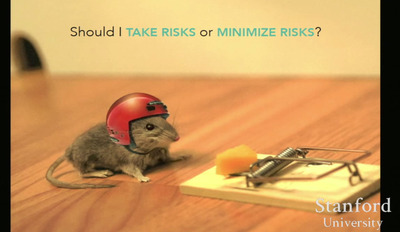 How do you minimize other risks? 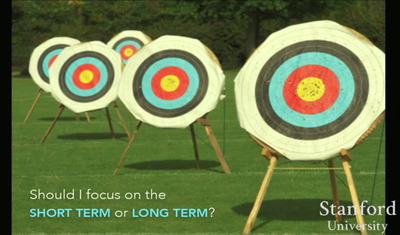 Should you focus on your long term vision or a particular near term problem? You should jump in between them. You should always have a long term vision in mind, but if you're not focused on what's immediately in front of you, you're screwed. In the early days of Linkedin, people thought his idea was crazy. But Hoffman knew exactly how to grow it enough to prove them wrong. And he did. Also, Linkedin never had a 'rocket ship growth' moment. It grew gradually year by year. 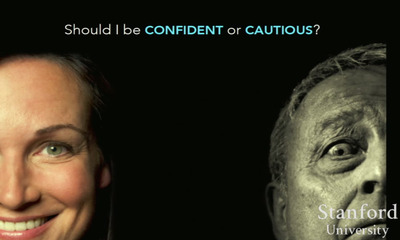 Another question to ask: 'Should I have belief or should I have fear?' Part of being a great founder is being able hold your belief, but also being smart enough to listen to criticism and negative feedback. It's not about losing confidence, but being patient. Do you want to focus internally (build product, ignore competitors) or externally (recruit people and gather intelligence)? Again, the answer is both. 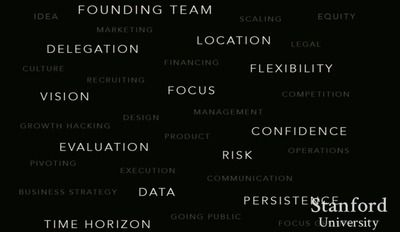 Part of what makes a great founder is the ability to be flexible across these lines. 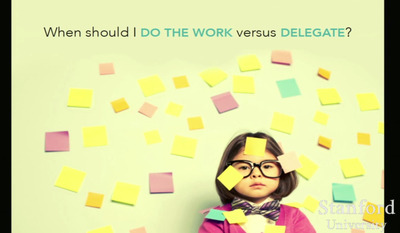 Another quandary: Deciding when to do the work versus when to recruit people and delegate the work. Once again, you need to do both. And sometimes, you have to do both at 100%. 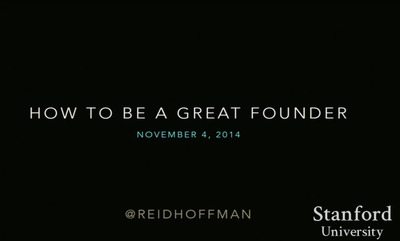 And when you do that the right way, generally speaking, you end up being a great founder. Like these people. 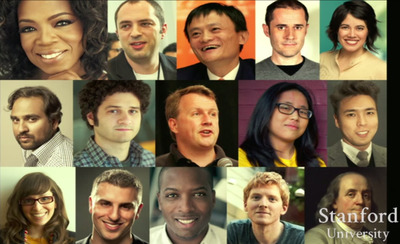 But great founders can be very diverse, too, and not just in terms of race, age, or gender. They can be super talented in different areas, because there are different kinds of companies, with different kinds of problems to solve. So, there's not one skill set that makes you great. You need the ability to learn and adapt, while having the vision to drive you. And if you can do that while 'crossing uneven ground in the fog,' then that's essentially what makes a great founder.